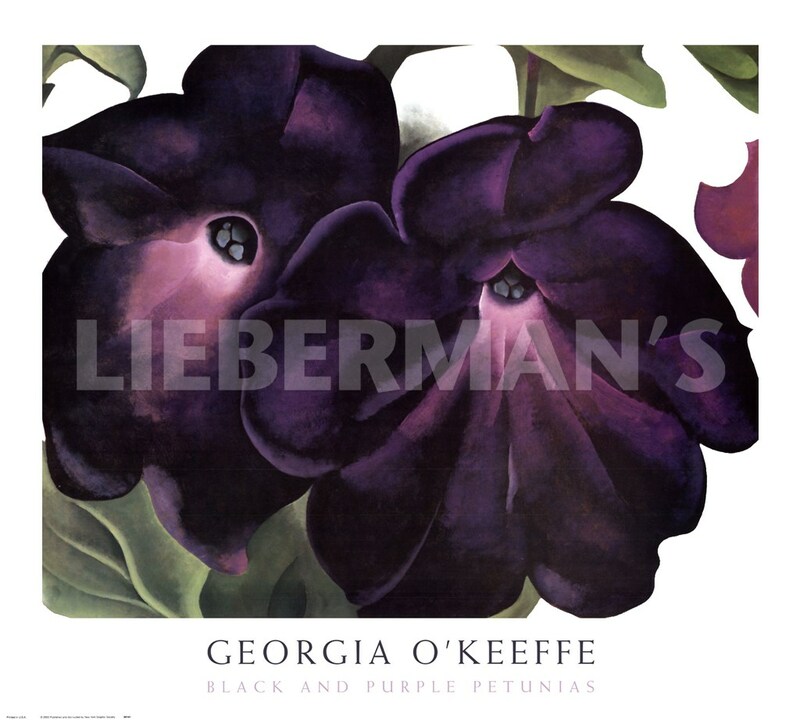 In 1924, O'Keeffe began painting flowers in large scale. She purposely used vivid colors and painted on large canvas as to allow the audience to embrace the flower's beauty. 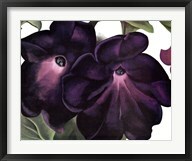 Her Black and Purple Petunia's were among the first flowers she painted in large scale. O'Keeffe spent much of her time in her garden studying the flowers so as to capture their subtle yet radiant hues. Paper Size: 30" x 27"